This spring we have seen an increase in Rhizosphaeara Needle Cast and Cytospora Canker infections. 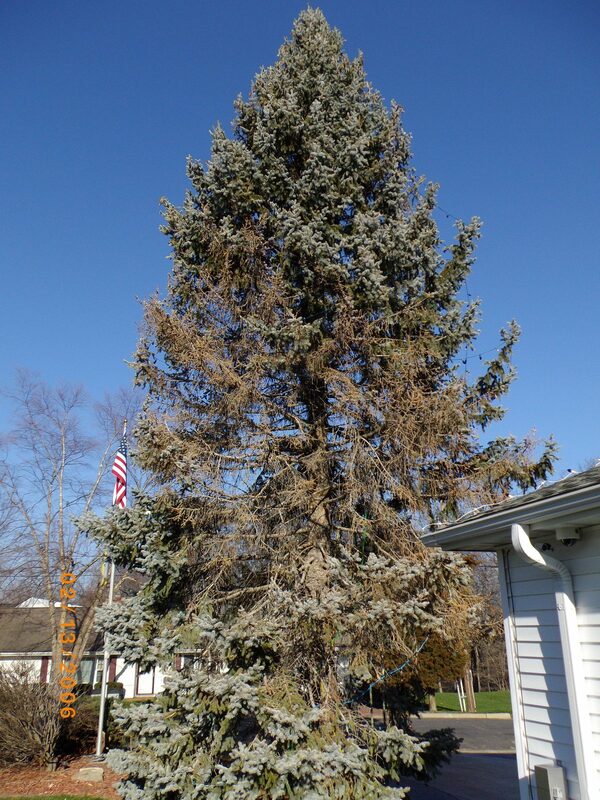 Rhizosphaeara Needle Cast and Cytopspora Canker are fungal infections common in spruce, especially Colorado Blue Spruce. Needles turning a purplish to a reddish brown are common symptoms of both Rhizosphaera Needle Cast and Cytopspora Canker. After needles discolor, needle drop occurs. Cytospora Canker tends to kill branches from the bottom up, usually on one side of the tree. Bleeding out and large cankers on the branches are also symptoms of Cytospora Canker. Rhizosphaeara Needle Cast can be limited to a couple of lower limbs or cover a large area of the tree. These fungal infections can kill a couple of branches in a slow progression or cause large areas of needle discoloration and needle drop over the course of a summer. There are treatment options depending on several factors such as which fungal infection you have and the severity of the disease. If you have questions or concerns regarding your Spruce trees please call Alive Tree Care today at 309-698-1150. 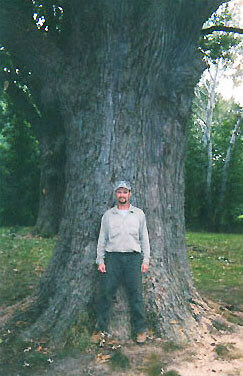 Here's Michael in front of a beautiful Burr Oak located in Washington, IL. This tree is 217 inches in circumference. That's over 18 ft. What a beautiful specimen.